A two-day course in design thinking taught me that a team is more than a group of people and that in our aim to reach our goals, failure can be a positive thing. 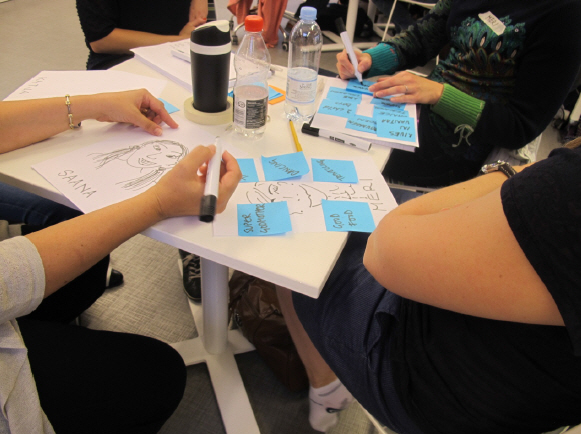 Katja Tschimmel introducing Laurea students to the fascinating world of design thinking. Starting studies after a decade…years of work life and now back again to a student life! A very exciting day to begin, students around full of inspiration, motivated, energized and from various backgrounds. Getting to know and learn from each other all about the concept of Design Thinking was the essence of the two-day workshop held by guest lecturers Katja Tschimmel and Mariana Valença. 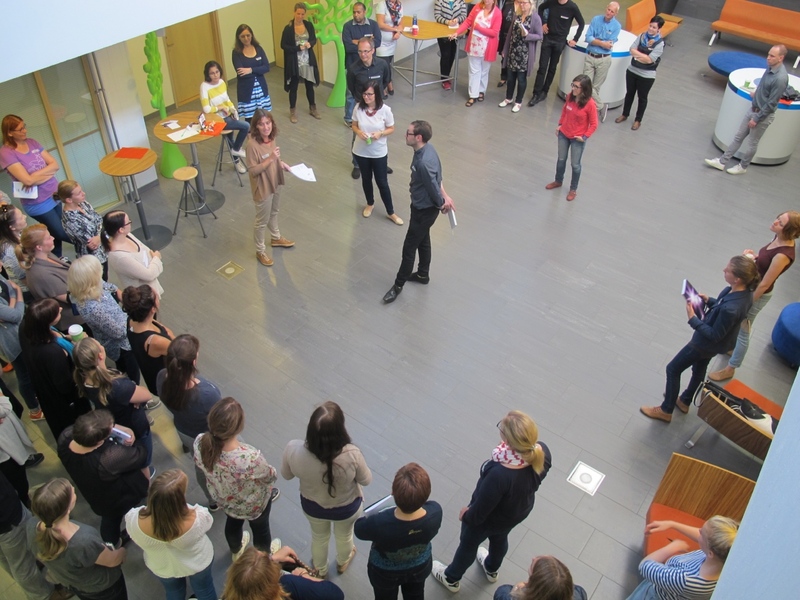 An interesting ice breaker for the team was the ‘mind shake warm-up’ and ‘who is who’ activities. Learnt a lot of new things not only on the subject but also about other students as well as myself! That’s when I realized that it is going to be an exciting learning journey ahead! Design Thinking is a way of thinking which leads to transformation, evolution and innovation. Tschimmel, K. (2012) it is human-centric approach which starts with observing people in their natural surroundings, helps to understand customer’s actual needs and create business that taps into their existing behavior. This way customers are much more likely to relate to the new business.